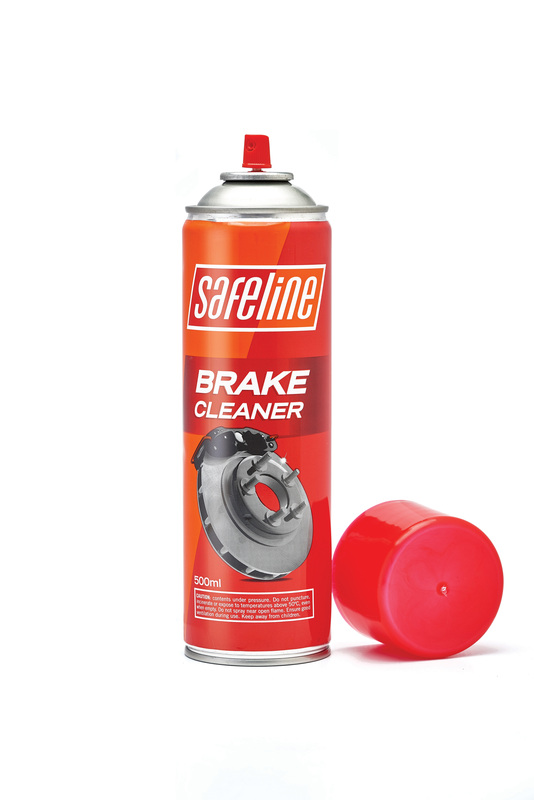 The Safeline brake cleaner is a non-chlorinated, heavy duty cleaning agent for the removal of grease, dirt, dust and oily residue from brake discs, drums, brake calipers and cylinders. The brake cleaner is packaged in a convenient 500ml aerosol can for quick and easy cleaning of brake parts. “With its close proximity to the ground, the wheel assembly is constantly exposed to dust and debris from the road surface as well as brake pad wear residue. These contaminants create dirt build-up within the wheel assembly and can affect the braking system. The Safeline brake cleaner effectively removes dirt build up and prepares a clean area for the fitment of brake discs.” says Timothy Edwards, Technical Customer Coordinator, Safeline Brakes. For use, simply spray onto brake parts surfaces to be cleaned. Use in a well-ventilated area. Allow to drain off, then wipe with a dry cloth to remove any remaining residue. The nozzle extender can be used for hard-to-reach areas. For heavy duty degreasing, repeat if necessary.